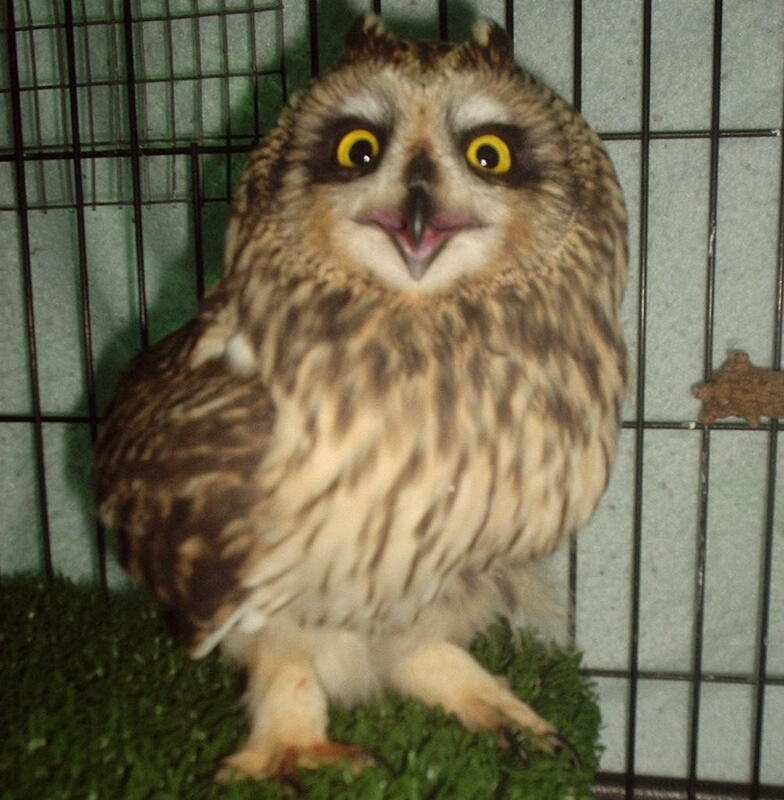 Short-eared owls opportunistically inhabit areas where small mammals, especially meadow voles (Microtus pennsylvanicus), are abundant. Generally diurnal, but most active at dusk and also at night. They occur widely in the Old World, in Iceland, the Hawaiian Islands, Galapagos Islands, and North and South America. They inhabit wide open spaces such as grasslands, prairie, agricultural fields, salt marshes, estuaries, mountain meadows, and alpine and Arctic tundra. 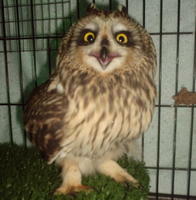 In the Northeastern, Central United States and the United Kingdom the short-eared owls is listed as endangered. This little guy was definitely in danger. It was rescued by an owl fancier last week who lives near Lake Hood, the largest and most active seaplane base in the world. It was surrounded by dogs full of curiosity. She doesn't know if the dogs hurt the bird or just discovered it while it was on the ground. She recovered the bird and it made its way to Bird TLC. 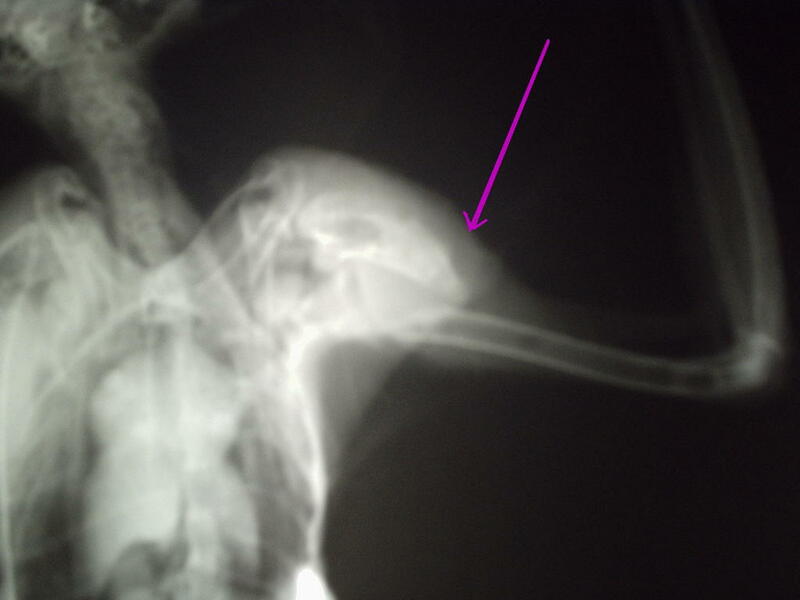 After a complete exam and x-rays, it was clear that there was a fracture at the upper portion of the left humerus. A perfect scenario for it to receive a stainless steel pin to aid the humerus in mending. We'll know in about 2 1/2 more weeks if the wing is mending as we would like. X-rays will be taken again to see if calcification is happening in the area of the fracture. Hopefully it is. Then it depends on how much calcification has occurred as to when the pin will be removed. Keep your feathers crossed, if everything goes as hoped, 05-581 could be released within a few months.